TGIF! Perfect for the weekend is the “safest” colour from the Essie 2013 summer Naughty Nautical collection. Full Steam Ahead is a lively lilac with silver shimmer. Although not the most unique polish in the collection, this one is uber pretty on the nails. 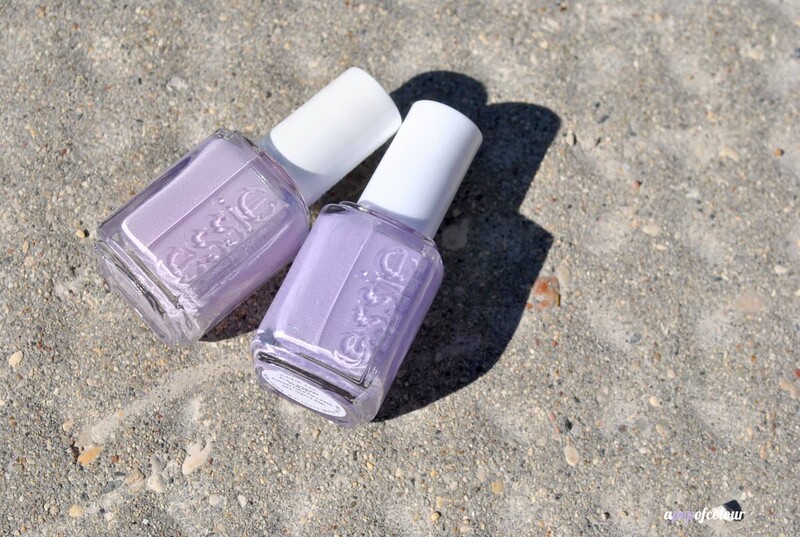 I feel like Essie puts out a few different lilacs every year and it should definitely be a staple in everyone collection. If you don’t own a polish in this shade already, pick this one up, the silver shimmer adds a bit of dimension and uniqueness to the lacquer. Left: Essie Nice is Nice. Right: Essie Full Steam Ahead. I did compare this to Nice is Nice from their A French Affair summer collection from two years ago, but that one is a creme finish (aka no shimmer) and a greyer in tone. I used OPI Nail Envy as my base with Poshe top coat to seal my mani. Although I only needed two coats, I used three to see if the polish would last a bit longer on my nails before chipping. It lasted two days before a couple nails chipped :(. Although this isn’t the most unique colour in the collection, if you don’t own a lilac polish, this one would be a great one to pick up. It’s safe, so therefore you can wear it to really any occasion and always be on trend. 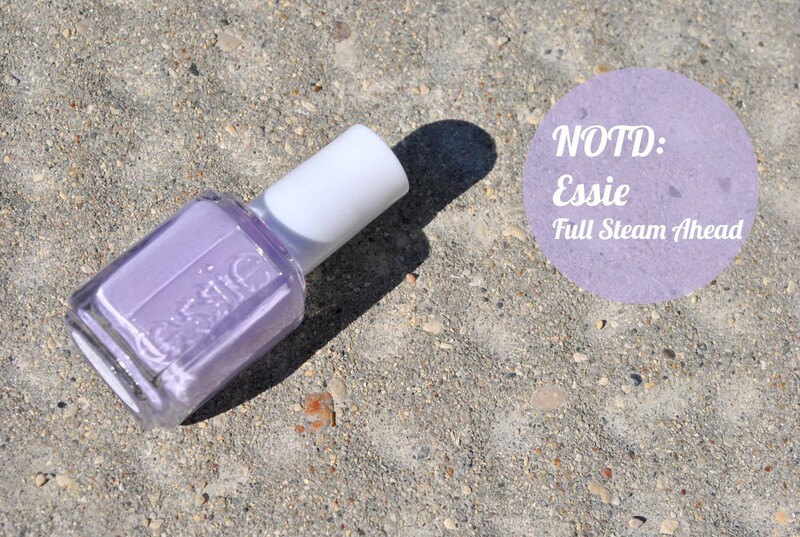 Are you excited to try Essie’s Full Steam Ahead? It launches in June 2013. Please note, I was sent this product from the company that handles PR for Essie in Canada. All opinions are my own.